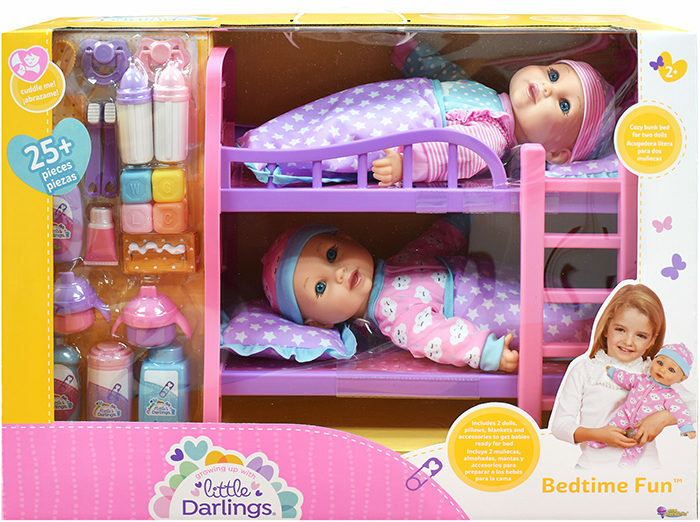 Two 12″ twin baby dolls with their very own bunk beds, including blankets and pillows. Snuggle up with your twin babies and care for them or get them ready for bed. Set include 30+ accessories!